If you can justify the entry fee, this Puzzle & Dragons two-pack offers a solid hybrid of enjoyable puzzle mechanics and RPG-lite monster collecting. If you've browsed Google Play or the App Store for longer than 10 minutes, you've probably caught a glimpse of Puzzle & Dragons' cute anime graphics and brightly colored orbs. While it's technically a match-three affair, trying to play P&D like Bejeweled will eventually end in tears, which isn't immediately obvious. But once you break through your previous puzzle conditioning, P&D's blend of tactical planning, quick thinking, and a good deal of luck is captivating and rewarding - the marks of any standout puzzle game. Just be aware that this 3DS two-pack isn't radically different from its mobile counterpart, and while it's as enjoyable as ever on the Nintendo handheld, it requires a much bigger investment up front. The puzzling all takes place on a six-by-five board full of color-coded orbs and health-restoring hearts, and each turn you're allowed to move a single piece wherever you like. Success in P&D relies on your understanding of a deceptively crucial and complex mechanic: how the orb you're manipulating pushes and shifts the adjacent pieces as you move it around. If you're not snaking and weaving around the board and setting up multiple combos every time you make a move, you're not playing to your full potential. You have all the time in the world to visualize your orb's path but only a few moments to shuffle it around once you start moving, which creates a nice balance of thoughtful planning and frantic adjustment when you notice the potential for even more matches mid-move. Complementing the puzzle gameplay is a team-battling, monster-capturing framework that's pretty much Pokémon in all but name. Instead of just matching orbs for the fun of it, you and a squad of critters explore simplified RPG-like dungeons, battling groups of enemies, collecting items, and eventually making your way to a boss fight. Monsters and orbs correspond to five elements - Fire, Wood, Water, Light, and Dark - adding an easy-to-grasp layer of rock-paper-scissors strategy on top of the puzzle proceedings. Now, all that is readily available in the free iOS/Android version, so what you're paying for here is gussied-up themes and a way to bypass roadblocks like energy limits or penalties for bailing out of a dungeon mid-fight. The trade-off is a much smaller set of collectible monsters (250+ to the mobile version's 2,000+ and counting) and that whole 'full-price game published by Nintendo so it probably won't be discounted any time soon' thing. If you prefer competitive puzzle games like Tetris Attack or Puzzle Fighter, I have some bad news: Puzzle & Dragons only allows for asynchronous co-op against the computer, where you can enlist the assistance of your friends' team leaders as a sixth member of your squad. You can also trade monsters or find allies via StreetPass - but even if there aren't any 3DS owners in your area, you can still summon the aid of AI teammates. 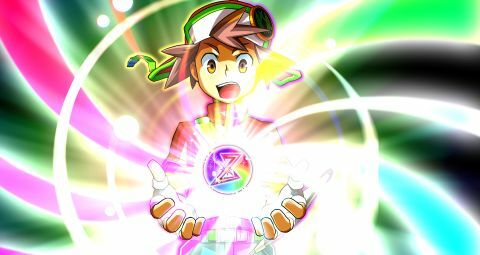 Puzzle & Dragons Z shines with the kind of winsome personality that characterizes Nintendo's main monster-collecting franchise. It starts the same way many charming RPGs do: your mom rouses you out of bed to get ready for the Dragon Tamer tryouts. Obviously the Dragon Tamer tryouts aren't in all the other RPGs, but the bed is. One hour and a world-fracturing calamity later, you and your scaly pal (who I named Syrup) are on a quest to restore the natural order. The goofy dialogue and blippy soundtrack convey a sense of cheerful whimsy, and the sprite work and monster designs (which reimagine the mobile version's bestiary) are delightful. Each encounter plays out a bit like a one-sided Puzzle Quest battle: whenever you match orbs, your team members associated with that element will attack, while the enemies act automatically after your turn. Monsters can also cast spells to restore or protect your health or alter the board layout. The RPG elements deliver the good with the bad: snagging rare (and/or adorable) monster drops and building specialized teams is gratifying, while grinding for specific upgrade items or unexpectedly dying to attacks you've never seen before is an exasperating buzzkill. And as with Puzzle Quest, there will be times when the difficulty spikes WAY the hell up, which typically results in desperate prayers that the incoming orbs will trigger a lucky chain combo. Of the dual P&D experiences on tap here, Super Mario Bros. Edition is actually the weaker of the two. It never feels like anything more than a Mario-themed reskin, which is what you'd expect at the bare minimum. Instead of knights and dragons, you're picking Mario and Luigi as team leaders as they band together with generic Goombas and Koopas because... reasons. Iconic power-ups, sound effects, and stage themes straight out of Super Mario 3D World are all great, but almost everything about the presentation feels recycled. And honestly, Mario's plain ol' enemies just aren't that interesting in the context of an RPG - that's probably why Paper Mario and Super Mario RPG devised so many of their own unique villains, none of which you'll find here. It’s not easy trying to justify the $30 / £25 purchase of a game you could be playing for free. And while the content it offers is pretty good, Puzzle & Dragons Z + Puzzle & Dragons Super Mario Bros. Edition won't do much to calm that fiscally responsible part of your brain. If you need to flex your match-puzzle muscles in stimulating new ways, or just really love anything Mario related, this Puzzle & Dragons two-pack will call to you. Just be sure to have a good, long think about whether it’s worth the price to have it on your 3DS with a splash of Mario. Description An all new Puzzle and Dragons adventure as well as a super Mario version of the game.